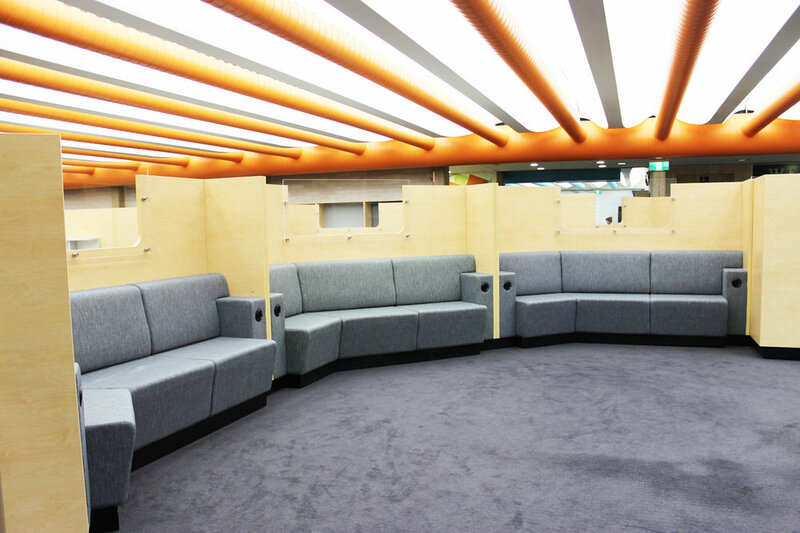 The Cabramatta library recently received a full face lift, offering its visitors a brand new space to think, read and create. 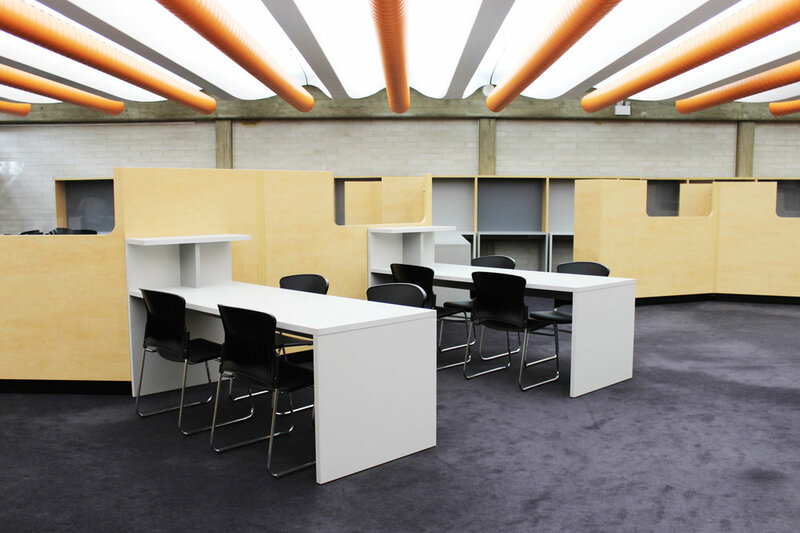 A versatile system of bench seating and joinery was designed by Antoniades Architects and perfectly integrated into the building's existing shell. 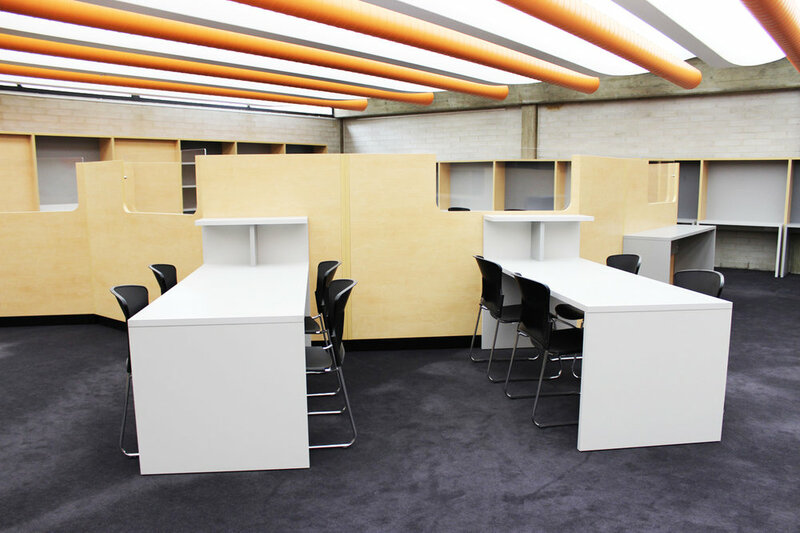 Manufactured locally in our Mascot factories, the upholstered bench seats feature integrated power stations and offer informal spaces to relax and read in while minimalist tables and individual workstations provide the perfect place for team work or personal studies. 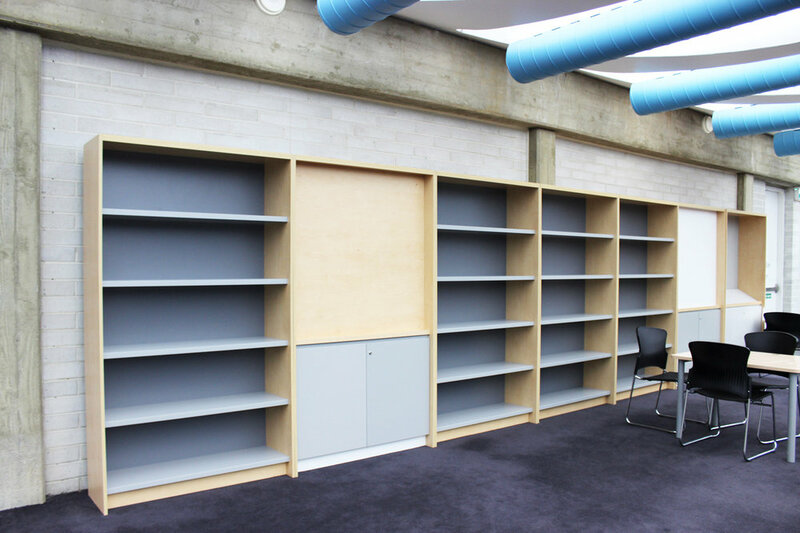 Bookcases and storage units were created to blend flawlessly within the space with colour selections matching the upholstery perfectly. 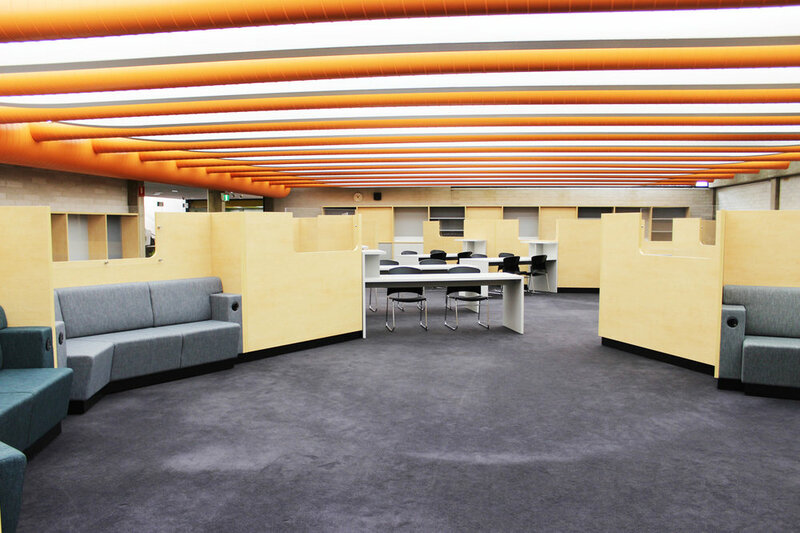 Designed to encourage interaction with the space and provide a modern way for users to work, Cabramatta library has been built to cater for today's demands. 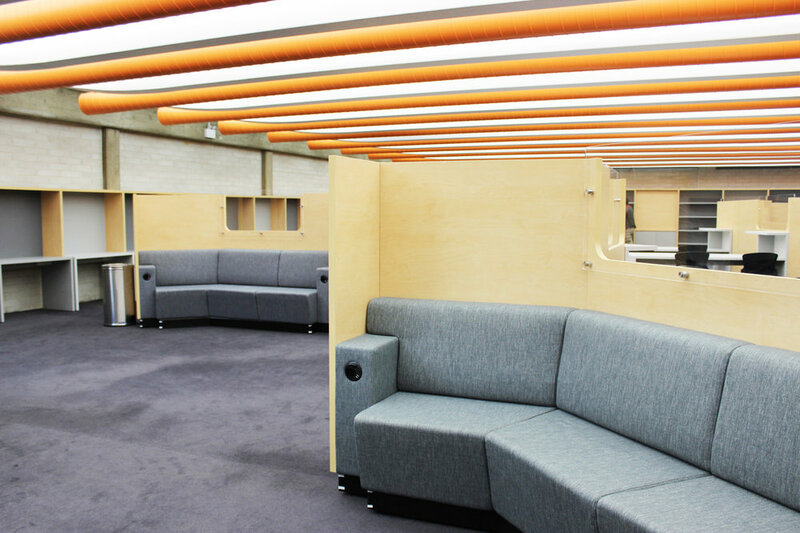 If you'd like to know more about our joinery capabilities, drop us a line here.